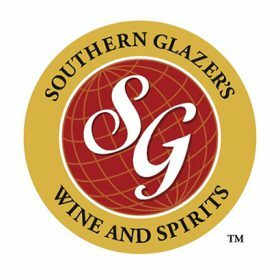 Southern Glazer’s Wine and Spirits (SGWS) has been fined US$3.5 million for partaking in illicit ‘pay-to-play’ schemes, including illegal gifting, discriminatory sales and inaccurate record keeping. The penalty issued by the New York State Liquor Authority is the largest in the body’s history, and one of the largest civil penalties of any state liquor administrative agency against a wholesaler. The State Liquor Authority accepted the conditional no contest offer from SGWS to settle charges of providing illegal gifts and services to business to “influence their purchasing decisions”, for allowing incomplete, inaccurate and inadequate record-keeping practices, and for engaging in discriminatory sales, violating the 2006 Wholesale Consent Order and Decree. The offer from SGWS was accepted by members of the State Liquor Authority, chairman Vincent Bradley and commissioner Greeley Ford, at a full board meeting on 20 December. “The multitude of violations found during the course of these investigations is truly staggering,” said Vincent G Bradley, State Liquor Authority chairman. “The SLA remains committed to rooting out abuse and corruption in the alcoholic beverage control industry to ensure a level playing field for all businesses. During the summer of 2017, investigations into SGWS uncovered evidence that SGWS solicitors and managers were engaging in sales practices in direct violation of the New York State’s Alcoholic Beverage Control Law’s ban on offering ‘gifts and services’ to induce sales. The State Liquor Authority specifically cited SGWS sales representatives accumulating large expenses on their corporate credit cards at ‘favoured’ retailer establishments, without receiving anything in return, to allegedly influence their purchasing decisions – an illegal practice also known as ‘credit card swipes’. The State Liquor Authority interviewed an SGWS district manager for the capital region on 26 September 2017, who admitted to using his credit card at favoured stores to “artificially lower the retailers’ costs for alcohol purchases and incentivise additional purchases”. SGWS’ Albany district manager confessed to making “several illegal transactions” between 1 January and 30 June 2017, ranging from US$50 to US$1,000 in credit card swipes. The SGWS was also accused of inaccurate and inadequate record keeping following complaints from numerous restaurant owners in the Albany area. “We will never tolerate systematic violations of the laws of our great state,” said counsel to the authority Christopher R Riano. “This nationally historic settlement is a testament to New York’s strong and enduring leadership in the alcoholic beverage control industry. In addition to the fine, SGWS has entered into a Corporate Compliance Agreement with the State Liquor Authority, requiring SWGS to report “suspicious activity” directly to the State Liquor Authority for investigation. The Spirits Business has contacted SWGS for comment and is awaiting a response.